13 rooms –7 double rooms, 2 family apartments, 4 deluxe apartements altogether 38 beds. Family apartements have two separate rooms, one with kind size bed, the other with extandable sofa. There are 2 LCD TV in the apartement. 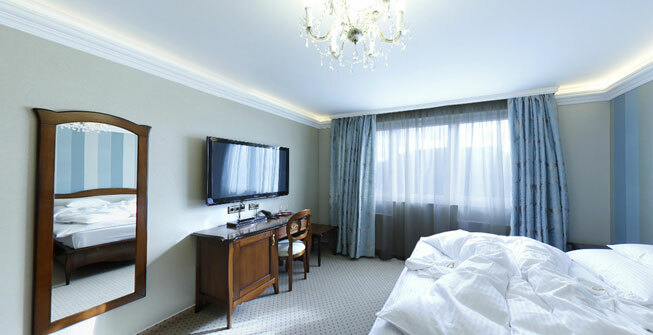 Deluxe apartements have two separate rooms , both with king size beds. There are 2 LCD TV in the apartement. Spacious shower, hair dryer, make-up mirror in the bathrooms.